Before 2011, three of the top accelerators in the US, Y Combinator, 500 Startups, and Techstars, didn’t accept a single Latin American startup. 500 Startups was the first to pay attention to Latin America, launching its Mexico-based program in 2011 and receiving startups from Latin America in its Mountain View program early in 2012. Chilean startup Welcu and Argentine startup Wideo were the first Latin American startups to leap to the US by way of 500 Startups in 2012. Ever since Welcu pioneered the journey from Latin America to one of the top accelerators in the US, dozens of other Latin American startups started choosing the US for acceleration as well. While some startups use these programs as a soft landing to open operations in the US, many others leverage their new knowledge, networks, and funding to consolidate their presence in Latin America. Wherever these startups choose to go, their experience in US accelerators tends to be a catapult for success. Making a shift to the US market can be an incredible opportunity for Latin American startups to tackle a larger client base while using geographical arbitrage as a competitive advantage. Accelerator programs like 500 Startups, Techstars, and Y Combinator are often the boost these startups need to break into the US market or to scale rapidly across the Americas. Success stories like Rappi, Platzi, Slidebean, Grin, Wideo, and Fintual speak to the tremendous impact that US accelerators can have on a growing Latin American startup. Forbes ranks Y Combinator first on its list of most successful accelerators based on number of exits. 500 Startups and Techstars come in second and third. Y Combinator was not interested in Latin America until Colombia’s Platzi caught their eye in 2015, quickly followed by Rappi, also from Colombia. This year, they accepted more than 10 Latin American companies, including the first ever startup from Puerto Rico, BrainHi, and the first from Chile, Fintual. The Rappi story is now well-known among US investors. The delivery app was the first Latin American company to receive funding from the prestigious venture capital fund Andreessen Horowitz, and recently became Colombia’s first unicorn. They’ve raised over $392 million USD and expanded to Mexico, Argentina, Brazil, Peru, Chile, and Uruguay. Along with the recent Cornershop exit in Chile and Mexico, Rappi is one of Latin America’s top startup success stories. Without participating in Y Combinator, perhaps Rappi would have never met the Silicon Valley investors that put them on the map. By valuation, Brazil’s Brex trails behind Rappi by one point in YC’s rankings. In the case of Brex, the young Brazilian founders were already in the US studying at Stanford, so they didn’t necessarily use the accelerator for their US launch. Instead, they entered Y Combinator with a different idea, a VR startup called Beyond. However, they credit the accelerator with guiding them to focus instead on their strength: payments. Brex, a mobile corporate credit card, is now worth $1.1 billion USD and operates from an office in Silicon Valley. Grin, Mexico’s record-breaking e-scooter company, was among the most recent graduates of Y Combinator. Grin raised over $20 million USD in its seed round, the biggest seed investment in Latin American startup history. A little over a month later, Grin raised $45 million USD in a Series A round led by undisclosed investors. The startup merged with Brazilian scooter company in October 2018, Ride, to accelerate their expansion across the region. To date, Colombia is the Latin American country with the most startups in the YC network. Platzi, Rappi, Ropeo, Hogaru, UBits, and Tributi were all founded in Colombia. 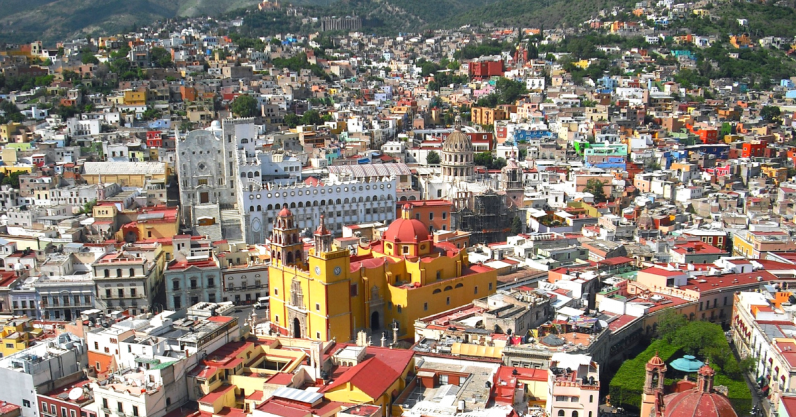 Mexico follows with companies like RunaHR, Grin, and Skydrop. By the end of 2018, almost every large country in Latin America has sent a startup through the accelerator. 500 Startups was the first US accelerator program to foray into Latin American startup investments. Some of 500 Startups’ Latin American alumni, such as Brazil’s ContaAzul and Costa Rica’s Slidebean, went on to raise millions of dollars from international investors. Many of these companies also established offices in Silicon Valley, or returned to Latin America with the investment from 500 Startups to expand their operations regionally. 500 Startups is also the only major US accelerator with a local presence, 500 Startups: Latam. The Mexican branch of 500 Startups has already invested in 70+ Latin American companies since 2011. Argentine animated video platform, Wideo, is one of the best examples of a company that used 500 Startups as a launching pad into the US market. Wideo participated in the accelerator in 2012, then established its headquarters in Mountain View to target the US market. Keeping a majority of their tech team in Buenos Aires, Wideo kept a competitive cost advantage compared to companies that hire in Silicon Valley. Chilean logistics startup SimpliRoute used their 500 Startups investment and acceleration to consolidate their position in the local market. After participating in the program, SimpliRoute received $100,000 USD from Silicon Valley firm, Right Side Capital Management, to strengthen their partnerships within Chile. They now coordinate logistics for companies like Unilever, Natura, and Quillayes. Much like 500 Startups, Techstars offers programs in Latin America directly for Latin American startups. Techstars’ Startup Weekends help develop entrepreneurial skills in early-stage founders around the world, including in Colombia, Chile, Mexico, and Brazil. However, only a select few Latin American startups have reached their US accelerator programs. Groupraise, was accepted into Techstars in 2015 and was able to use the program as to help bridge their US and Chilean offices. Fernando Moncayo leveraged his time in Techstars to take his company, Inspectorio, from Ecuador to the US. His startup uses artificial intelligence to help companies with compliance and quality assurance and is now based in Minneapolis, Minnesota. They have gone on to raise over $13 million USD from investors such as Target and Twilio. Chilean ticket-booking platform, Voyhoy, participated in Techstars in 2016, then returned to Latin America to continue serving the regional market. The startup still has offices in Miami, allowing them to stay in touch with US investors and mentors that they met during the accelerator program. Voyhoy has raised over $1.2 million USD since they received acceleration from Techstars. Techstars has not accepted as many Latin American startups as Y Combinator or 500 Startups, but that trend is starting to change. In the past few years, Uruguay’s CityCop, Colombia’s Invomatic, and Chile’s Klooff have all received acceleration from Techstars in Austin. US accelerator programs are often the stepping stone Latin American startups need to scale regionally and globally. Not only do these programs provide funding and mentorship, but they also help startups build a network in Silicon Valley, leading to future investments and partnerships that enable them to consolidate in their home countries, or tackle the US market. These US accelerators have also inspired a host of more Latin American-focused programs, such as Parallel 18 in Puerto Rico and 500 Startups in Mexico, which bring both Latin American and global startups together in the region. Acceleration in the US might not be for every foreign startup; however, many of the Latin American startups that have participated in Y Combinator, 500 Startups, and Techstars are now regional success stories. If anything, the experience of leaving the region and meeting other startups and mentors is enough to give these companies an edge over startups that have never received acceleration. Full disclosure: My firm, Magma Partners, is an investor in Slidebean, Groupraise, and BrainHi.